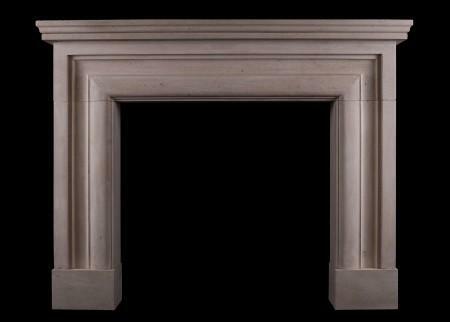 An English moulded bolection fireplace in Arabescato marble. 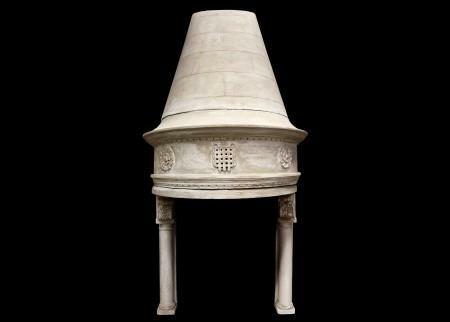 A good quality copy of the Queen Anne design. 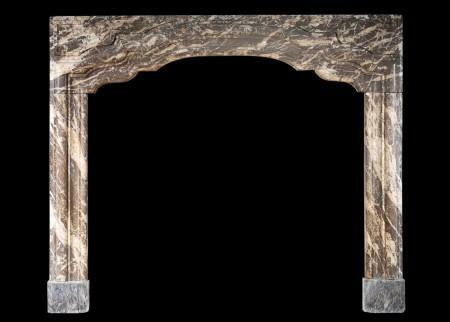 An architectural fireplace in veined brown marble. The solid jambs and frieze with square panels throughout. Smaller scale. Modern. 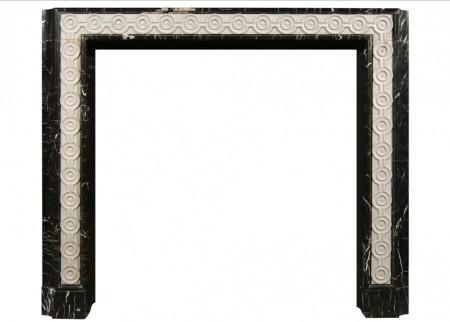 An architectural timber fireplace with Eastern influence. 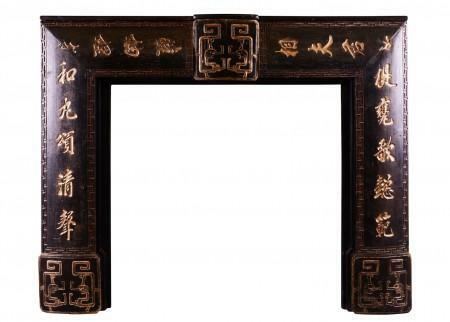 The jambs and frieze with Chinese symbols throughout, the plinths and centre block with matching motifs. English, 19th century. 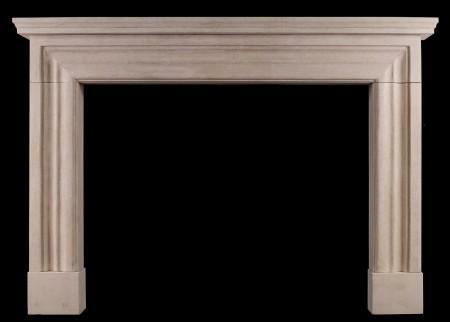 A polished limestone bolection fireplace. 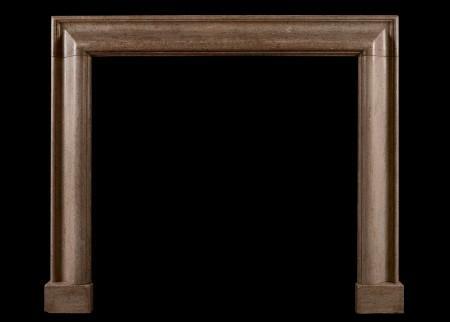 The moulded jambs and frieze with attractive moulding. English, 20th century. 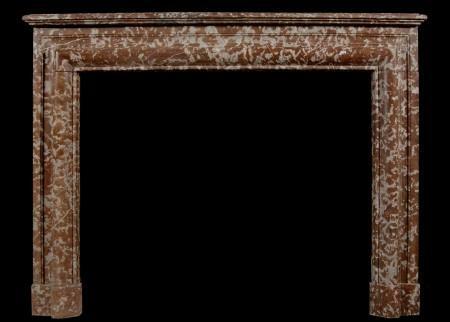 An impressive late 19th century Italian Baroque style fireplace in Statuary marble. 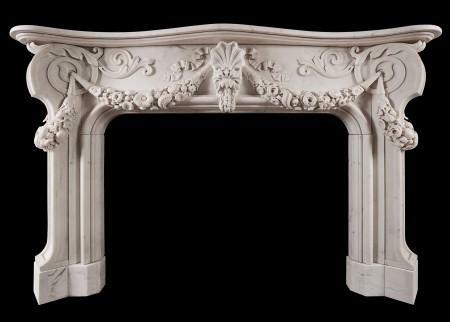 Deeply carved floral swags to frieze and bracketed jambs, scrolled foliage to frieze and outside of jambs. 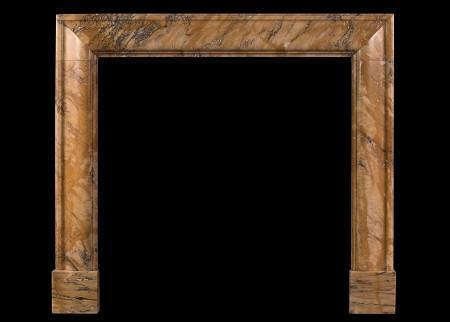 A carved shell with ribbons to centre of frieze, with serpentine shaped shelf above. 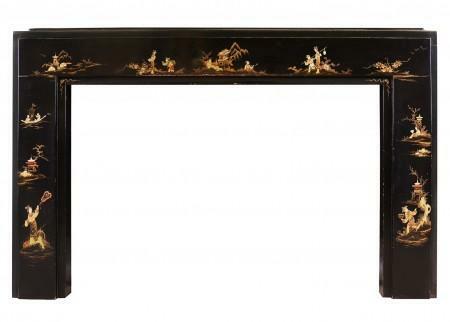 An imposing and good quality piece. 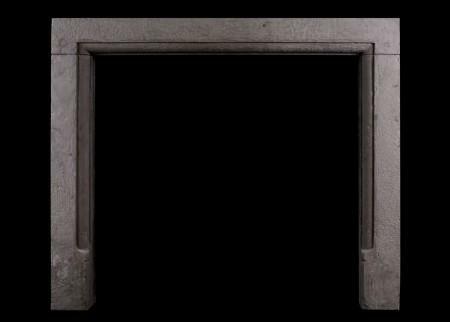 Dated 1891 to top of inside of jamb (not visible when assembled). 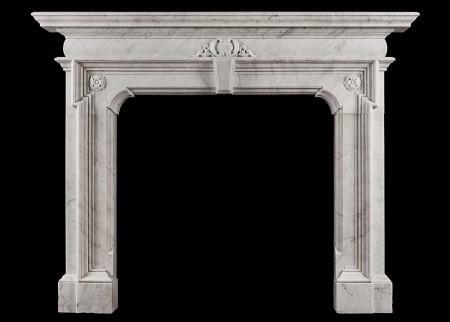 A striking Baroque marble fireplace in Italian Carrara marble. 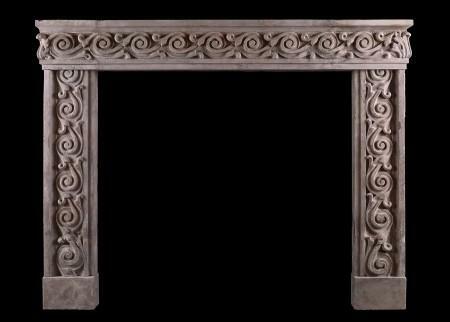 The moulded jambs with carved rosette to top, the barrel frieze with carved cartouche to centre and key stone below. 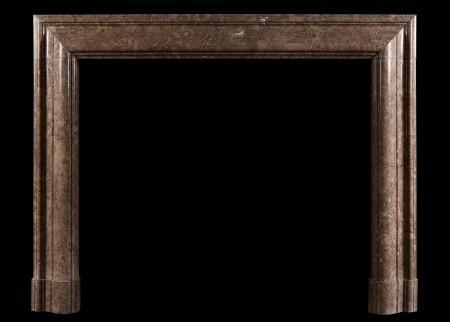 Shaped moulded cornice shelf above. A fusion of styles including Tudor and Georgian. 19th century, most probably Scottish. 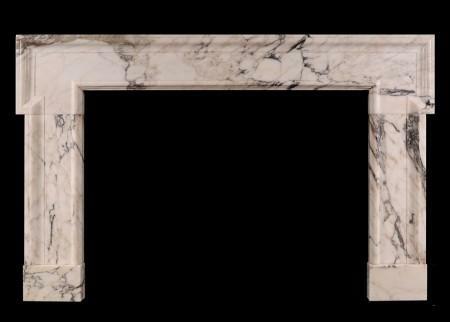 A well proportioned English marble bolection fireplace in Spanish Brocatelle marble. 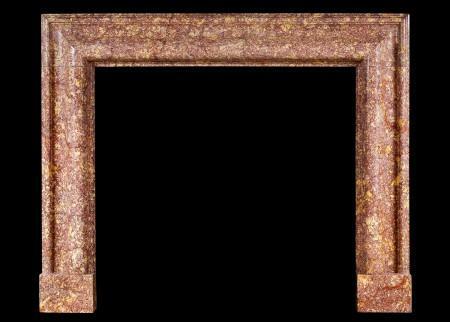 19th century, of the Queen Anne style. 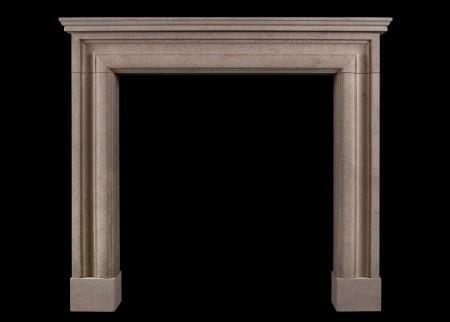 A dramatic English Portland Stone fireplace echoing the Palladian style revived by William Kent and William Jones in the early part of the 18th Century. The bow-fronted frieze surmounted by a magnificent swan necked pediment. Late 19th century, possibly by Sir Edwin Lutyens. 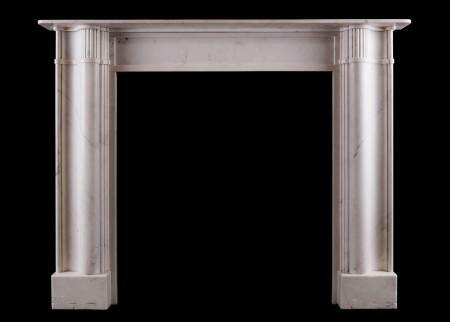 An late 17th or early 18th century Georgian marble fireplace, with moulded jambs and shaped frieze. 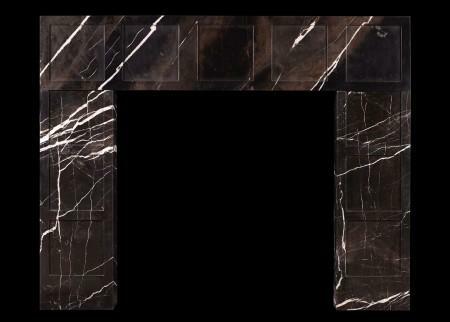 The frieze and jambs in a variegated brown marble, with contrasting marble used for plinth blocks. 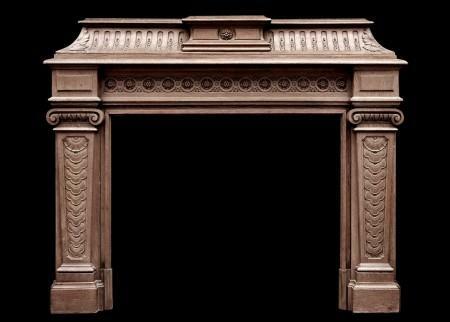 A large 19th century English Rouge Royale fireplace, with bolection moulding. 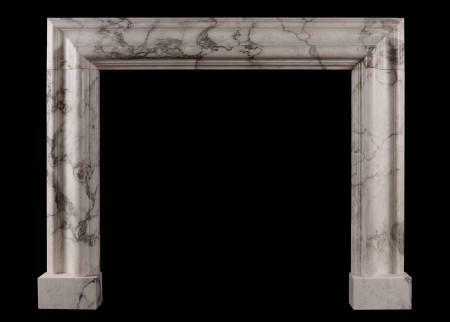 An English black and white veined marble fireplace inlaid with carved Statuary guilloche carving. 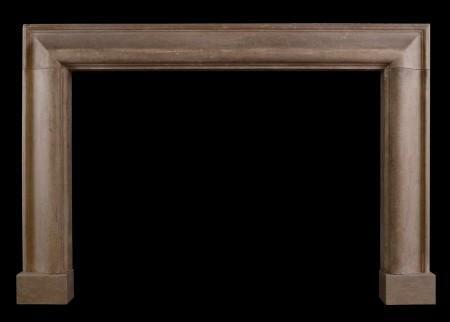 A 19th century French oak fireplace. 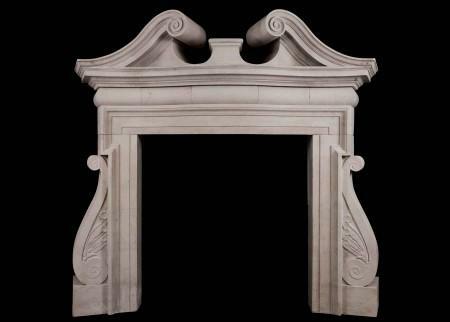 The carved frieze with guilloche pattern surmounted by concave, fluted shelf with centre panel featuring patera. 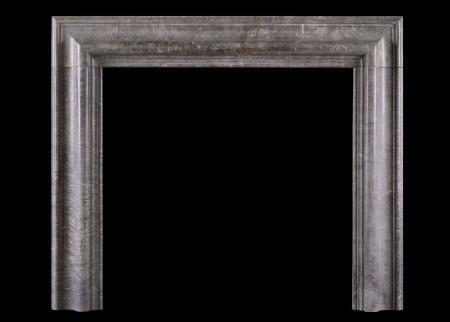 The carved jambs with tapered panels and ionic capital above.